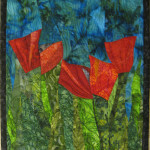 I like to explore different subjects in my art quilts in addition to different designs and color combinations. 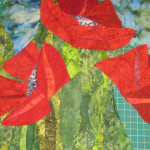 This fall I have been experimenting with a few different abstract designs with red poppy flowers. 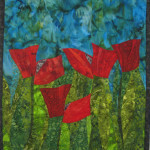 Most of my inspiration has come from contemporary paintings and watercolors of poppies. 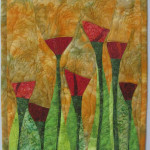 You can see many of these pinned on my Pinterest Quilt Inspiration page. 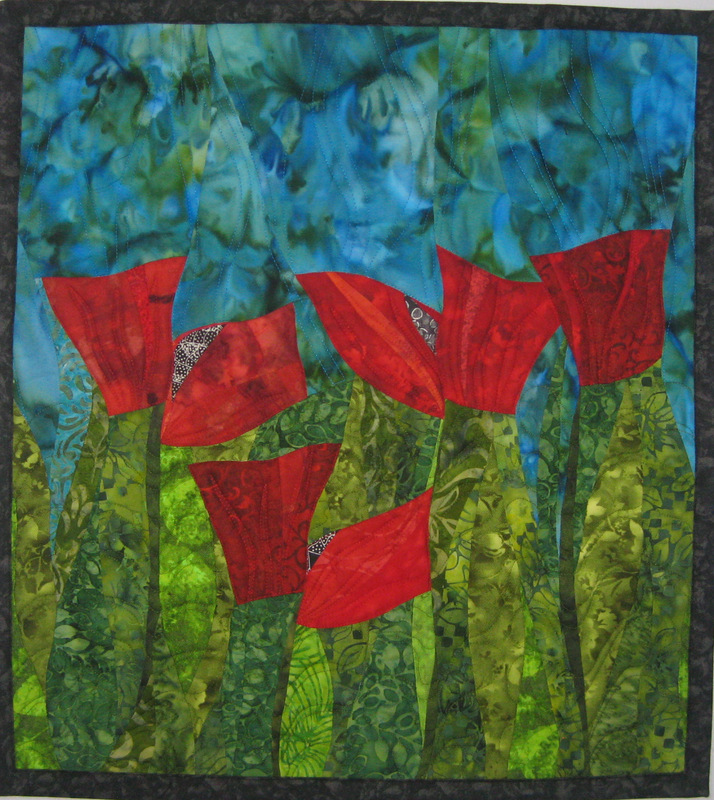 My interest is in combining design and color to create my own interpretation of poppies which means some careful selection of fabrics. With all quilts fabric selection is critical. 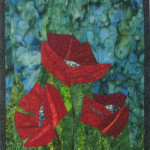 With three of my new Red Poppy quilts I have used mottled batik fabrics in one or more sections of the quilts. When these fabrics are cut into pieces and resewn together as the quilt is pieced, the colors are reconfigured in very interesting ways. I like this effect and will likely use it more in the future. 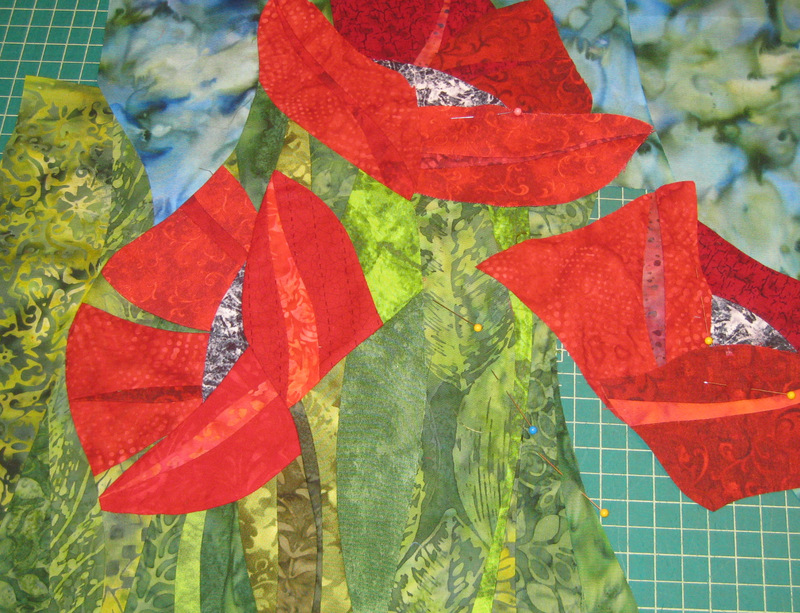 My biggest challenge with these new Red Poppy quilts is the piecing. There is always a way to piece a quilt!! However, sometimes it takes me quite a while to study where I want to go (that is, how I want the quilt to end up) and how I can get there. I do not use patterns nor do I draw out my quilts with all their parts before hand in order to figure out the order of piecing and sewing. 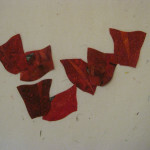 It is a bit of a trial and error method but it is also a dynamically creative method. 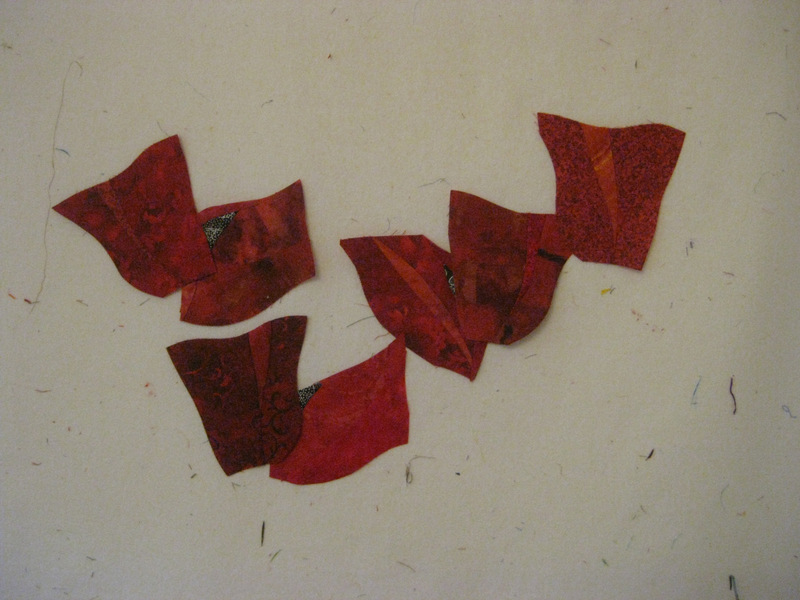 There is some inevitable ripping and resewing but that is OK….it is all part of the learning process and the creative process as I have chosen to proceed. 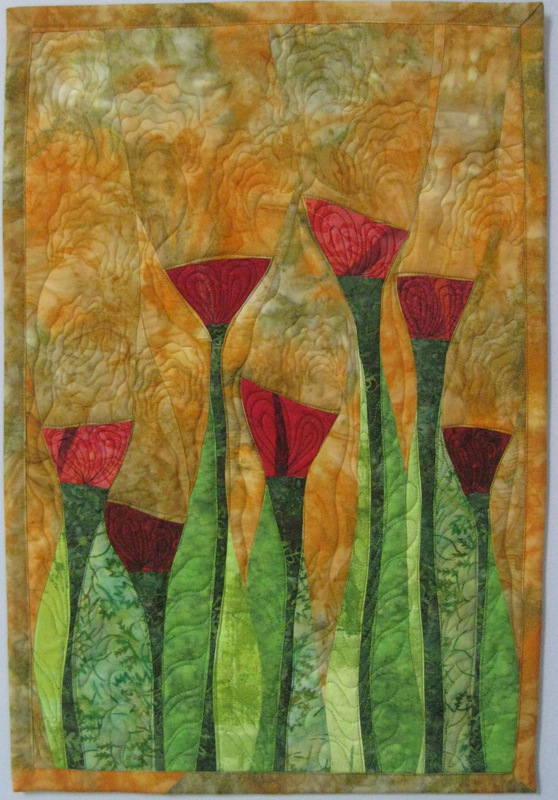 I have studied other quilters who do a superb job of plotting out an entire design and then cut each piece exactly to the design. This isn’t how I create. In fact I often don’t know how big, small, wide or tall a piece is going to be even after I have sewn one side to the quilt. I make the design and plan the next piece to be added as I go along. 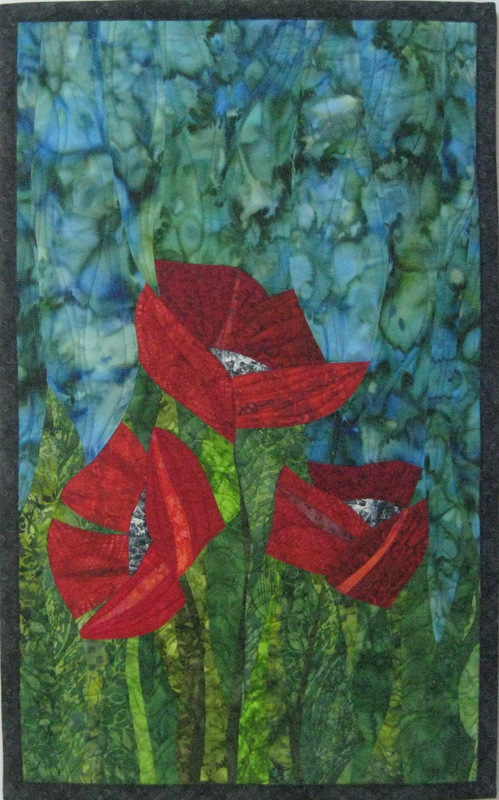 I’ve made four Poppy quilts so far this fall: Red Poppies, Red Poppies 2, and two other quilts called Three Red Poppies, and Whimsical Poppies. 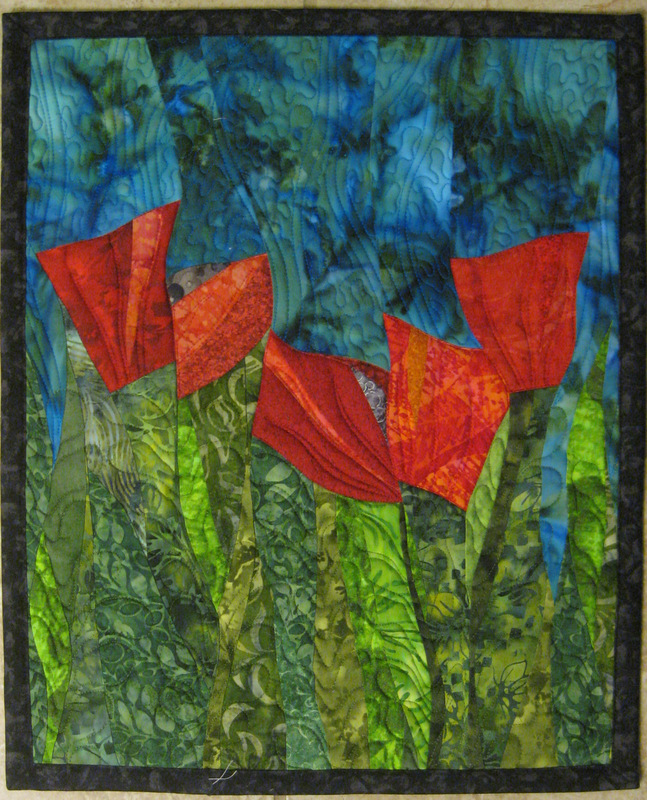 some different quilt stitching on Whimsical Poppies which I will talk about in a future blog. With all of these quilts I piece the flower parts first, organize their general location in the quilt on my design wall, and then begin figuring out how to piece the flowers into the rest of the quilt. I call this the engineering aspect of creating art quilts.